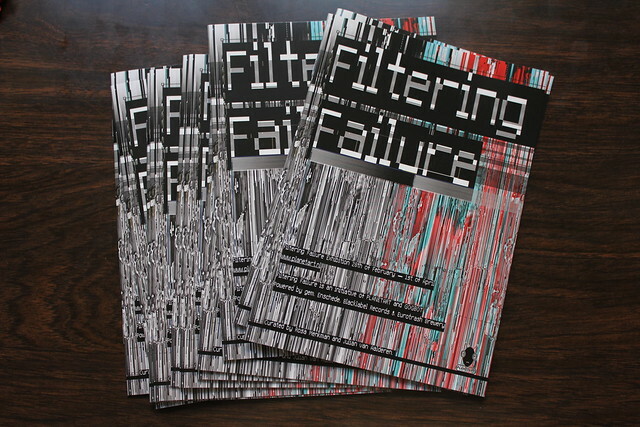 Filtering Failure exhibition catalogue. (February 2011). 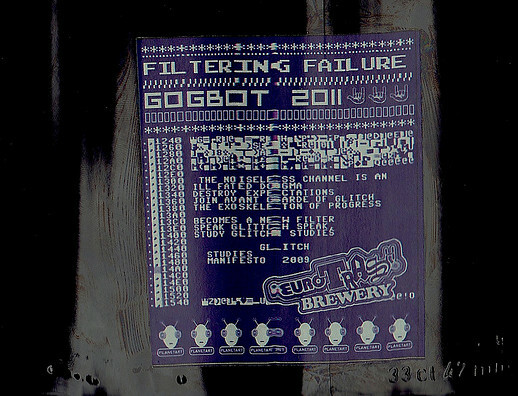 Planetart asked me to design the label of the Eurotrash beer that is specially brewn by artist Arno Coenen (around 7%) for the opening of the Filtering Failure exhibition. 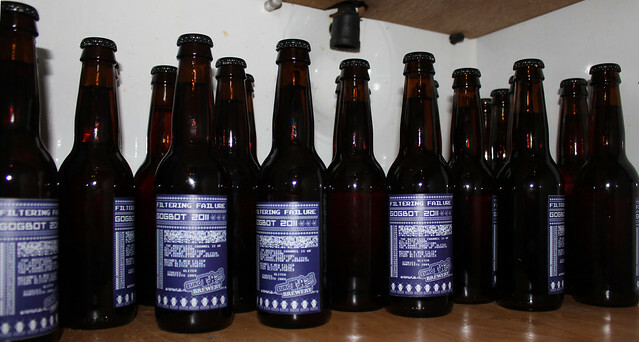 Almost all the beers of the 10 boxes ordered were finished the night of the opening, but there are still a few still left in the Planetart exhibition, so feel free to drop by and .. have a beer! 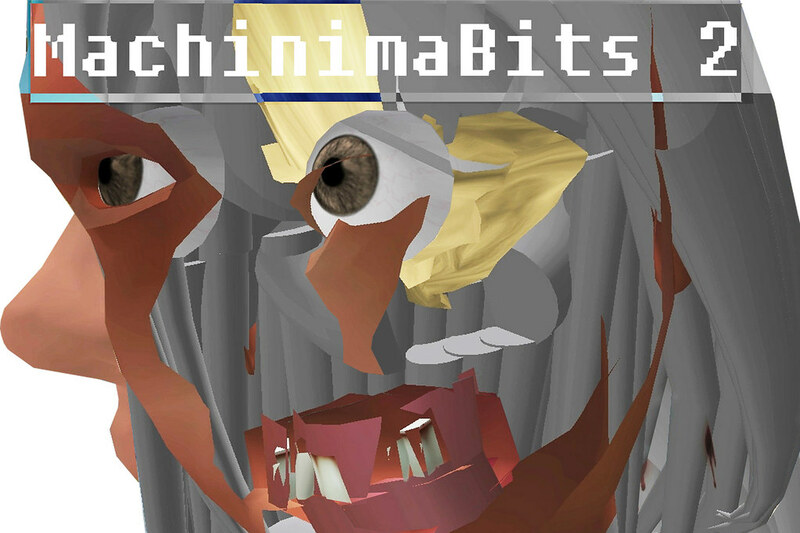 "The Low Times of Hi-Fi" floppy releaseby Pharmacon Records. January 2011. 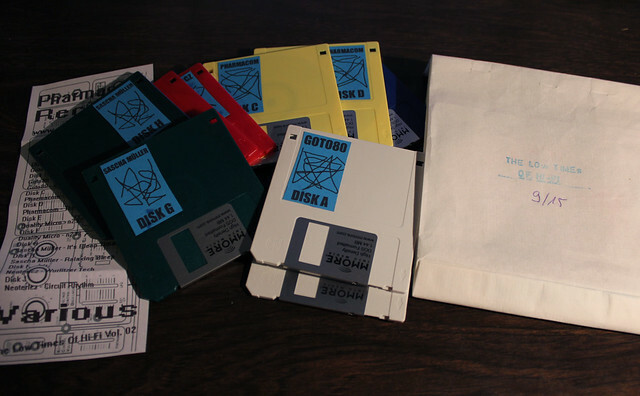 The release consists of 10 3 1/2-inch floppy disks, with music from different artists and one floppy with a music video by me and Goto80. 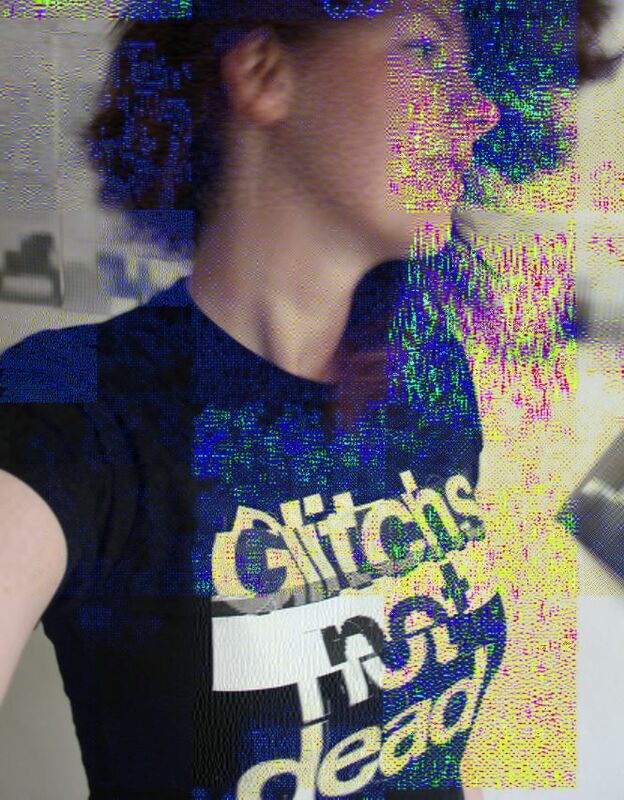 My new GLITCHs NOT DEAD t-shirt designed by UCNV, which he designed for me as a present-response after declaring GLITCHs NOT DEAD in the Vernacular of File Formats. 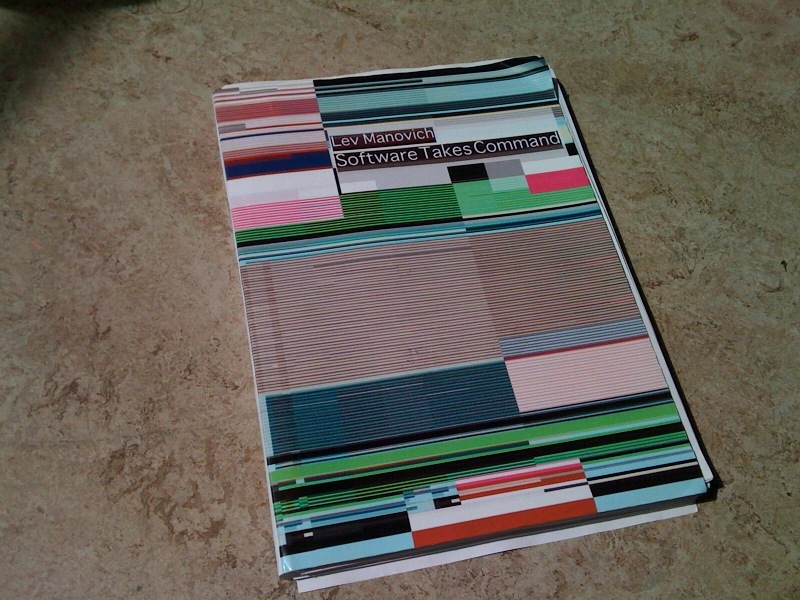 MONOCROMO Artfanzine 11 (Mexico), a fanzine publication, has my video "Compress Process" in it (music by extraboy; unfortunately they forgot to mention that). August 2010. Masters of Media Wordpress Theme. (with Esther Weltevrede, Anne Helmond and Erik Borra). 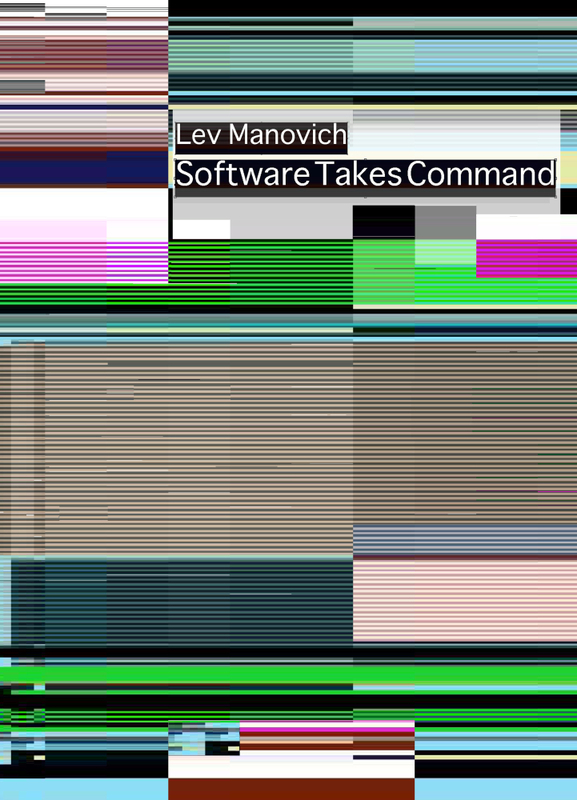 Video Vortext blog. 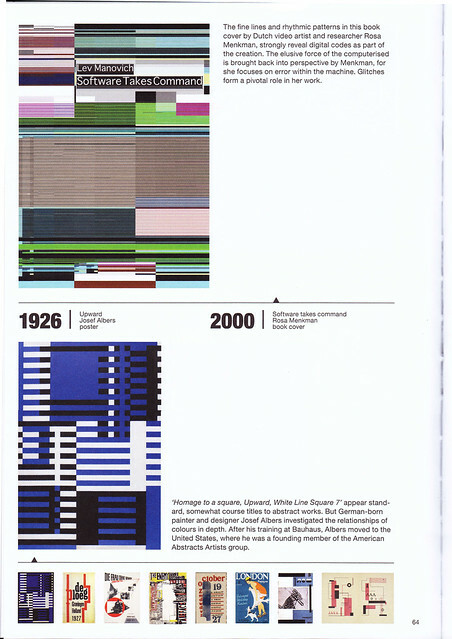 January 2008.